Vikram Krishna, a fourteen-year-old Hong Kong International School Student and part of the Boy Scouts of America, admirably initiated a fund-raising campaign to build awareness on the issues of plastic pollution in Hong Kong. It all began in the Boy Scouts, engaging in a group beach clean up, Vikram was horrified when he discovered a myriad of littered plastic products on the beach. This horror turned into action when he decided to do something about the plastic waste problem in our city. This gave him the idea to start the Eagle Project. In the process, he collected 1,000 used water bottles that would otherwise be thrown away into landfills, and V Cycle was proud to help deliver the bottles to a local recycler for recycling. As part of this campaign, the Boy Scouts also visited an elderly home and gave the residents each an eco-friendly reusable tote bag made from recycled PET bottles as gifts. Each bag produced is equal to 5 plastic bottles diverted from the landfill. 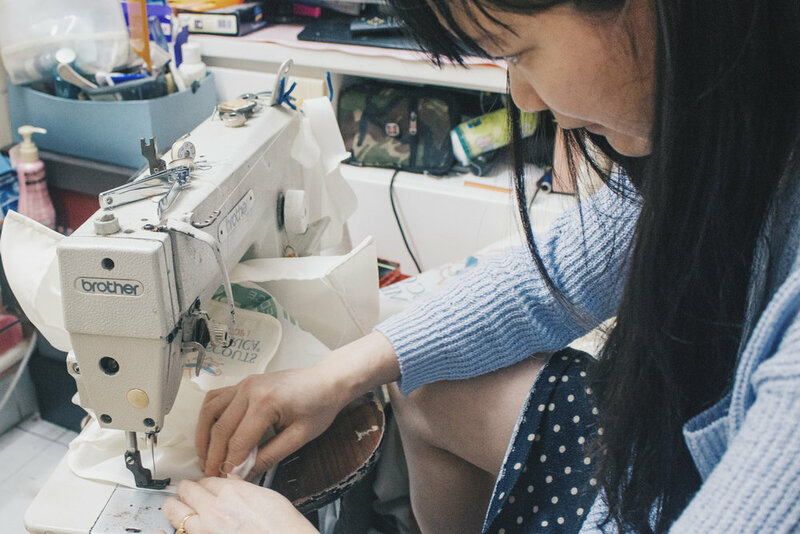 We worked with Sew Much Talent, a social enterprise supporting low income and displaced former sewing workers, and engaged their sewing ladies in producing the bags. By doing so, we hope that the environment and community will benefit from working together to reduce plastic waste consumption. Moreover, we hope that this venture will shed more light on Hong Kong’s plastic waste problem and that increased awareness means an increased reduction in plastic litter!